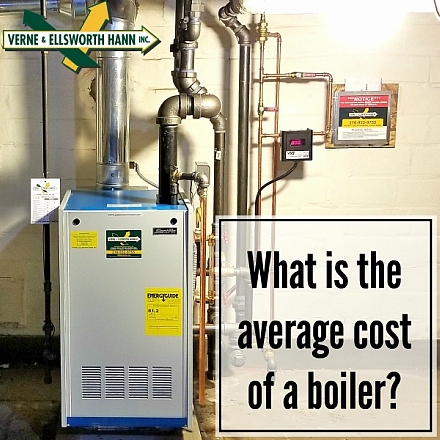 What is the average cost of a boiler? Boiler systems heat and pump water throughout your home via a series of pipes and radiators, baseboard convectors, or other devices. Cooled water then returns to the boiler and is reheated, repeating the cycle and ultimately providing heat. Boiler-based heating systems were ubiquitous in Northeast Ohio during the late 19th and early 20th centuries. Because so many Cleveland Heights, Shaker Heights, and Greater Cleveland homes were constructed during this era, chances are good that your own home depends on a boiler and radiators for heat in the winter. If you are thinking of replacing your boiler, the average cost is $8,000. There are many things to factor in when it comes to the cost of replacing your boiler. The size of your home, the efficiency, the size of the boiler and the overall complexity of the installation. 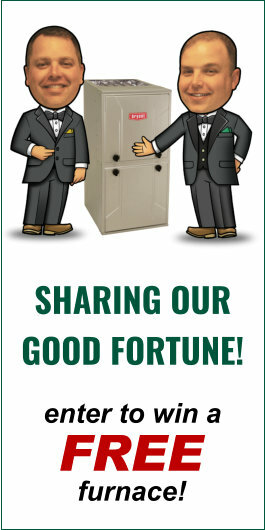 For over 63 years, Verne & Ellsworth Hann has been the premiere boiler installation company in Greater Cleveland. In the early decades of the Hann family’s business, they were responsible for installing hundreds of boilers and radiators in the Cleveland Heights historic neighborhoods. Today under the ownership of brothers Chris and Bill Hann, the company continues this dedication to superior boiler service.